While people of any age can become infested with head lice, they are most common among children. It is estimated that 6 to 12 million children a year get a head lice infestation in the United States. They are parasitic insects that feed off the blood just under the scalp. They also love the warm, moist environment just under your hair and don’t live long on their own away from where they can feed. Head lice come in three varieties. Nits are their eggs. As soon as one of these hatches they are called nymphs. 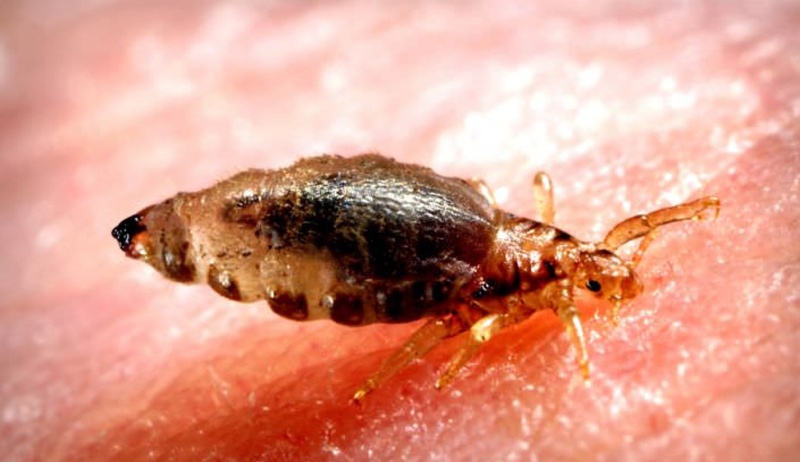 One nymph will mature into a fully grown louse after 9 to 12 days. Because they feed off blood under the scalp, they’ll tend to be less than an inch away from it. A single louse is about 2 to 3 millimeters long or roughly the size of a sesame seed. Both nymphs and lice are grayish white to tan in color, and nits will look like little brown, tan or yellow dots, which are secured to the roots of hair follicles near the scalp by a glue-like substance. If you do an image search under “head lice,” you’ll immediately have a good idea of what you’re looking for if you want to take a comb and part your child’s hair in places near the scalp to start looking for them. Lice do not have any wings, but they do have 6 legs that they use to grasp hair shafts. Unfortunately for kids not already infected, they can also use their legs to crawl from one child to another if your kid happens to be pressing their head together with another child’s head in a huddle during a game or while taking a selfie together. They can also spread when your loved one shares headgear with an infested person such as hats, helmets or scarves. If you find lice on any of your children or have been informed by a school nurse of their presence, the first thing you should do is take them to Lice Lifters of Harrisburg for a fast, effective and affordable lice treatment. Located right in Lemoyne, we’re convenient to you if you’re anywhere in the Harrisburg area, and our lice treatment is all-natural and non-toxic, so you have nothing to worry about. Best of all, the 99.9 percent effective lice treatment at our head lice removal company is completed in a single visit, so you and your loved ones will quickly be back to enjoying life without an itchy, irritated scalp.